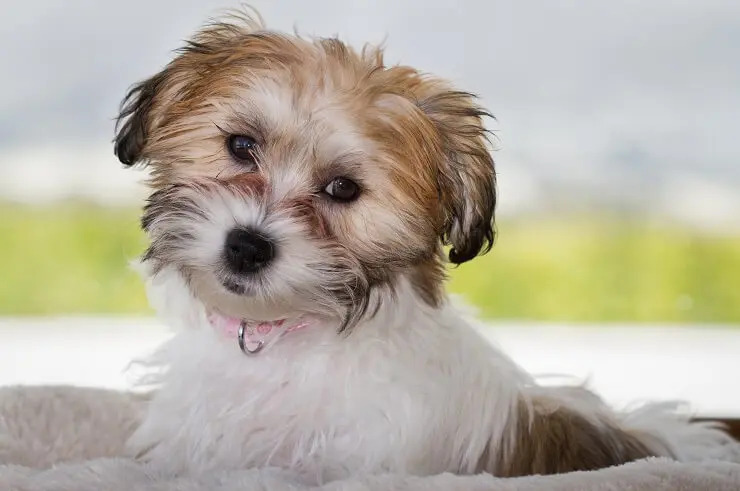 The Cavachon is a fairly new designer dog breed that combines the appeal of two extremely popular dog breeds: the Cavalier King Charles Spaniel and the Bichon Frise. This little teddy bear is perfect for those looking for a toy dog with a little more resilience. First bred in the US in the 1990s, they are extremely playful and friendly. They are great with children and thanks to the Bichon Frise contribution, they have a low shedding coat. 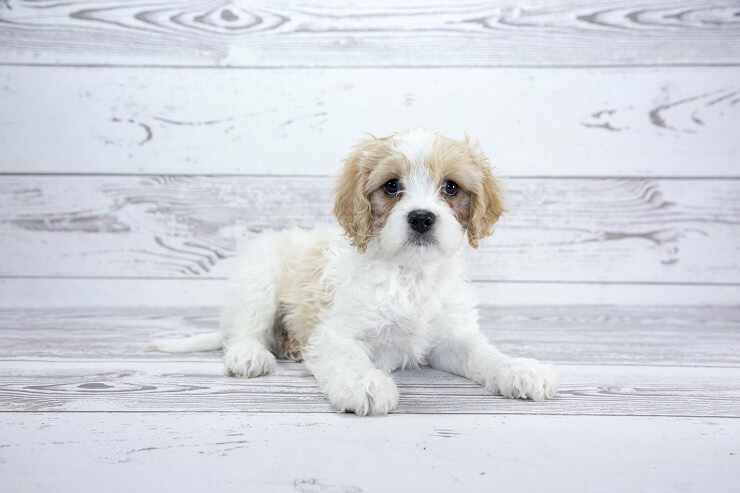 No matter who you are, it’s likely there is a place in your life and in your heart for a Cavachon and hopefully this article will show you why. In this article you will learn if they are the right dog for you and how to properly care for one. Is A Cavachon A Good Family Dog? How Long Do Cavachons Live? What’s the Difference Between the Cavachon and Cavapoo? 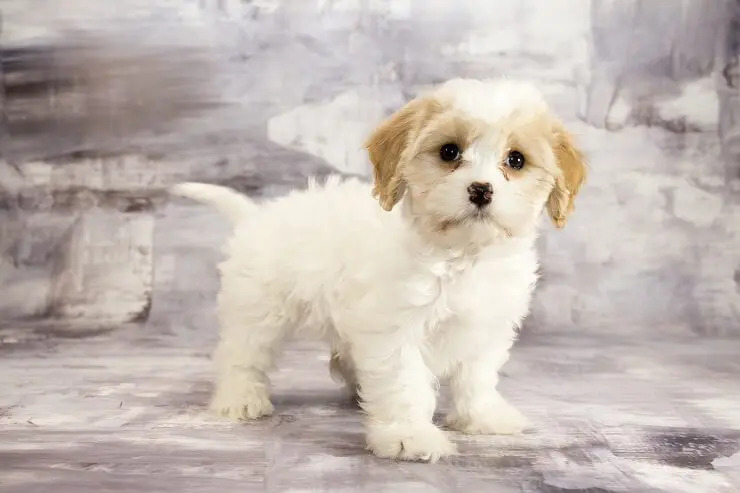 The Cavachon is a cross breed of a Cavalier King Charles Spaniel and a Bichon Frise, first claimed to be bred in 1996 by Gleneden Kennels in Virginia, USA. You can expect them to be one of the friendliest designer dogs around. They are a toy dog and as a result, are not recognized by the American Kennel Club. They were primarily bred as a hypoallergenic cross of its two parent breeds, purely to be the perfect dog for absolutely anyone. This means they make a good choice for those unlucky dog lovers with allergies. They are a sturdy breed that is small but well built, with ears that hang down the side of the head and a longer muzzle than a Cavalier King Charles Spaniel. This reduces the chance of the respiratory issues that the parent breed often has. The average height of a Cavachon ranges from 11 to 13 inches with no obvious difference between males and females. They weigh between 10 to 15lbs, and similar to the Chiweenie it is not unusual for this adorable little dog to be overfed as their puppy dog eyes are difficult to resist. Their size will be dependent on the size of the parents, with bigger dogs producing bigger offspring, but there’s no sure fire way to tell from a puppy. They are most commonly white with tan, apricot, red, brown and sometimes with black markings. Their appearance will differ depending on the litter, so their parents’ coats will be good guide to your specific pup’s color. 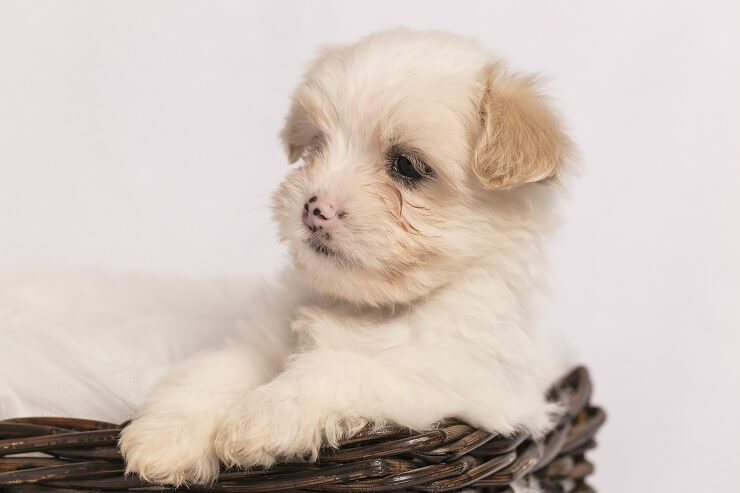 The Cavachon is bred from two breeds with long coats and therefore will have a long to medium length coat. They have silky fur that can be wavy or straight with a few different color variations. They are bred to be hypoallergenic, so they are a very low shedding dog. The personality of any dog will vary depending on the litter and their upbringing, however, with a Cavachon you have an extremely good chance of having a delightful little cuddle buddy. Thanks to the sweet and loving temperaments of both the parent breeds, this hybrid is unlikely to be nothing but friendly and sweet. Due to the Bichon Frise, they are very aware of their environment and alert to the presence of people. The only flaw likely to be found in this gorgeous breed is a dislike for being left alone. They are very playful and if socialized from a young age with children they can learn how to play very nicely with them. With both parent breeds being very intelligent, these guys are smart and love to solve puzzles and learn tricks. They respond extremely well to positive reinforcement and love. As far as exercise goes, they are not particularly high energy dogs and only require moderate exercise. A walk and a play session at home will suit them nicely. They will expect a lot of lap time so be prepared for some serious cuddleathons. They can get into a habit of barking at almost anything when they are young so it is important to teach them when barking is not appropriate. Try not to get angry at them for barking as this could cause your dog to become timid. Focus on positive reinforcement for good behaviors! Meeting people can also be a bit scary for a young pup, so make sure to have lots of positive experiences with new people. This is very important as no one is going to be able to resist giving them a fuss. The Cavachon is an excellent family dog! They are robust, intelligent and loving and will be able to integrate into almost any family, even if the environment is hectic with children. This dog is super intelligent, so positive reinforcement will work extremely well for them. They are eager to please, and will really enjoy regular training sessions. It’s important to work out what style of reward suits your individual dog and also to begin training as soon as you get your puppy! It’s not true that an old dog can’t learn new tricks, but it is a lot easier to teach a young dog that is for sure. Many dogs respond well to food rewards, whereas others just want your love and praise as a reward. However, as both parent breeds are often highly food orientated, it is likely your Cavachon will be too! Each dog is an individual and it takes time to build a bond of trust that is the basis of successful training. A big thing with them is socialization. They are a friendly breed but all dogs must learn how to interact safely and politely with the world. Take your pup out to meet new people and dogs and praise them when they do what you want. This will allow positive behaviors to develop and reduce the risk of unwanted behaviors. One issue that can crop up with a Cavachon is ‘small dog syndrome’. Failing to correct these negative behaviors early may lead to more serious behavioral issues down the line so dish out the tough love! They are not a difficult dog to care for and are suited to living with almost anyone. What they do need is attention and love, so they are best suited to a big family. If you live in an apartment this can work too; just make sure to take them for regular walks and toilet breaks. They will require moderate exercise, so a minimum of 30 minutes a day. This could be made up of a morning and evening walk or some time playing in a garden. Even better, set up play dates with other dogs to support their socialization at the same time. The possibilities for fun are endless with these little guys. With their high intelligence, it’s important to provide them with fun things to do, otherwise they might start to make mischief. If your Cavachon is starting to display destructive behaviors in the house, it’s likely to be caused by boredom. Try introducing more walks and play breaks. Challenge them with interactive feeders and toys. These will keep your pup’s brain and body healthy. They are happy to be walked off the leash and this is a lovely way to walk as long as you have mastered the art of recall. Until you’re confident you can recall your pup, walking on leash is probably best. Whilst they are bred to be hypoallergenic, they do still have dense hair that will need regular grooming to avoid getting matted and dirty. If you start grooming from a young age, and make it a positive experience with lots of treats and fuss, we’re certain that grooming will be a special time for you both. This will mean haircuts will be a quick and painless experience for your dog and the groomer. They will require between 300-450 calories per day. This will vary on their activity levels, with highly active dogs requiring more calories. They should be fed a high protein diet especially when they are puppies. You can feed using a complete kibble diet or introduce wet or raw food. There are many benefits to different diets and it is important to find the healthiest option for your individual dog. Avoid foods filled with corn and wheat gluten and food dyes; these are not good for your dog. If you are unsure, check the ingredients! When you take ownership of your pup, you must check with the breeder about what they have been feeding the pup as it’s important that a dog’s diet is not changed quickly. Whilst they’re a puppy, they will need to be fed a small amount of puppy specific food 3 to 4 times a day. As they get older, around 6 months, they can move to 2 feeds a day. At around 12 months old, they can be fed ‘adult’ food. Although, some people like to keep to more small meals to support digestion. Changing the number of feeds a day must be done slowly so as not to upset their stomachs. 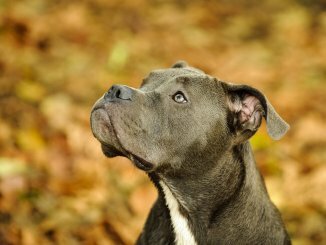 In general, they are healthier than their parent breeds but can still suffer from some health conditions. Some common examples include: excessive tear production, ear infections, skin issues, a sensitivity to biting parasites and hip dysplasia. 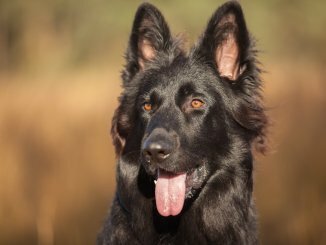 These are quite common in many dogs but some conditions are more breed specific (curly coat, dry eye and episodic falling). Other conditions that may also appear in Cavachons are eye problems like cataracts and mitral valve disease. They are somewhat prone to allergies caused by dust mites or other common irritants. Cavachons are expected to live around 10 to 12 years if given the appropriate care. When buying a Cavachon it is important that you find a good breeder. The best way to ensure you have found a reputable breeder is to ask questions. Ask to meet the parents of the puppies and interact with them; ask about their temperaments, health conditions, etc. A good breeder will have records of all their vaccinations and other treatments on the puppies and the parents. Make sure you visit the place where the puppies are, check out if it looks clean and suitable. Look at the puppies also, check they have clean eyes and ears and a clean coat. A good breeder will also not be desperate to sell you a puppy. They are concerned with making sure their dogs go to good homes. So if they seem uninterested in your home environment this could be a red flag. 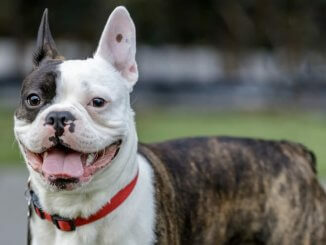 Another red flag is breeders that have more than 3 different breeds available as most good breeders will be specialized as it takes a lot of work to breed health puppies. Cavachons are designer dogs and because of this, a puppy can be quite an expensive purchase! In the US they cost between $400 to $900 per puppy. The cost of keeping one is pretty low as they are only a small dog; you should expect to pay up to $90 a month to keep one. Yes, the Cavachon is hypoallergenic because it sheds very little. However no dog is completely immune to shedding so people with very severe allergies may still have some problems. A Cavachon is a Cavalier King Charles Spaniel crossed with a Bichon Frise whereas a Cavapoo is crossed with a Poodle. Cavapoos are more susceptible to health conditions such as heart disease and slipping kneecaps. 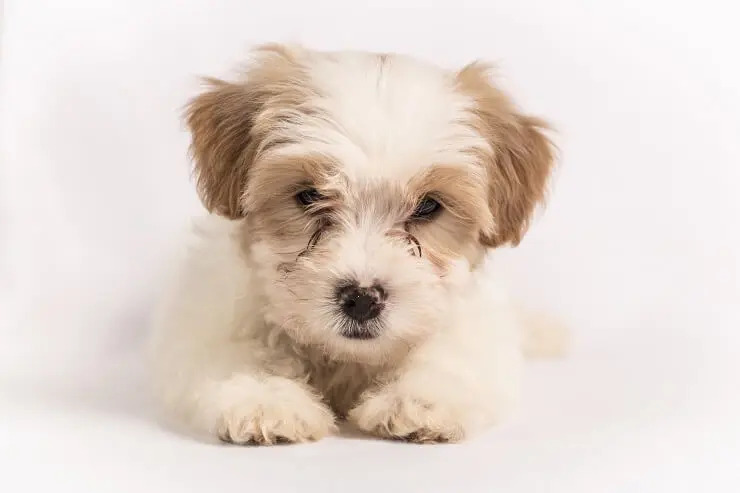 The gorgeous pup that is a Cavachon is well suited for absolutely anyone who wants to give and receive lots of love and attention. They are friendly, playful, intelligent dogs that are comfortable in almost any situation – including hectic family life. Caring for them is easy as long as you don’t mind spending time grooming and cleaning them to look after their silky fur. They only need a moderate amount of exercise but lots of mental stimulation in the form of play and training. As long as you can provide them with a warm bed and lots of cuddle time, you will have a wonderful partner.